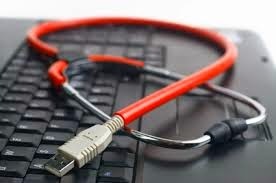 Your personal computer may contain important data or information and many of them might be private or confidential. The computer repairing guys may need to remove or alter your windows as part of the servicing. And data misusing is also an important issue facing nowadays. Even if you are consulting a trusted computer repairing guys, There might chance to wipe your data. But with the right precautions, could ensure the protection of your data. Trust is very important. There are many certified computer servicing centers, but trustworthy centers are less. Keep your hard disk with you if it is not necessary to hand over. All your data, including photos, videos, web browsing histories are stored in your hard disk. There may be issues with mother board or other peripherals. Ask them where the issue and if hard disk is fine, keep it in your hands. You could install your hard disk on another PC and work with it. Bit Format your hard disk two or more times because if formatted just once, people could recover your data easily. Copy and paste all your important files into cloud storage space such as One Drive, Dropbox or Google Drive to ensure the availability of your data and wipe them from your hard disk or format it. This is one of the best strategy to ensure the protection of your data even if your hard disk fails at any time. Clear history and browsing data of browsers. You may be saved your frequently visiting websites login credentials on your computer. Clear these saved passwords and clear internet browsing history before giving your PC for repair. All major browsers support quick Alt + Ctrl + Del command of wiping such history. If you are using Google Chrome, simple you could sign out your chrome account and it will wipe all data till you sign in again. Probably your PC may contain files you may don't want people to see such as bank details, credit card details, personal photos etc. Keep them insecure. Use personal USB storage device.